Company specialized in professional hygiene and environmental health services. Working with us you will never be alone. We provide special fumigation services. Over time, all stored products, if not properly protected, will be attacked by organisms. Cereals, legumes, nuts, flours, cocoa, tobacco, leather, wool, wood, empty structures, transport, etc. they constitute a favorable environment for the settlement of insect colonies. There are many species of insects and rodents that attack stored products and environments. 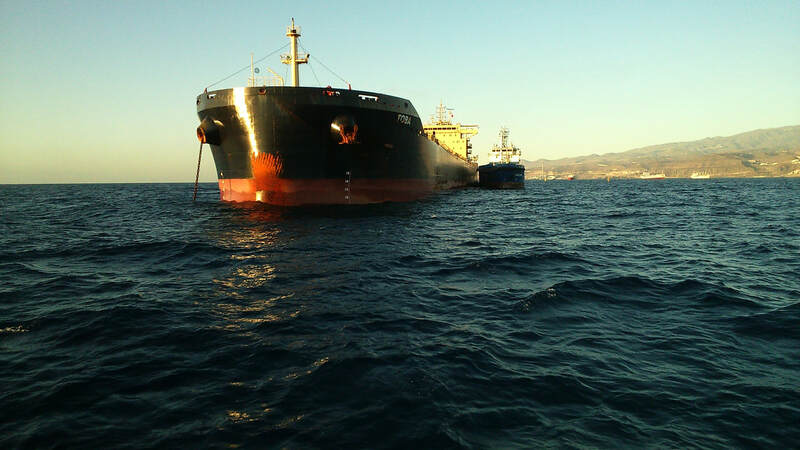 - Fumigation of ships and grain cargo ships. ​- Fumigation sleeves removal, gas free. - Services of Marpol V for anchored ships. - Fumigation of ships, transports, containers, empty structures. - Fumigation - Deratization - Disinsection. The provision of services we offer is based on the definition of work methods through written procedures, designed to meet the needs and requirements of customers. We specialize in fumigation services, services of disinfestation, pest control, disinfection, treatment of wood, as well as in the fight against birds by capture and installation of deterrent systems. For this we have the corresponding registers and approvals, while we promote the continuous updating of our media and training of our personnel. Working together to achieve a healthier and safer life.